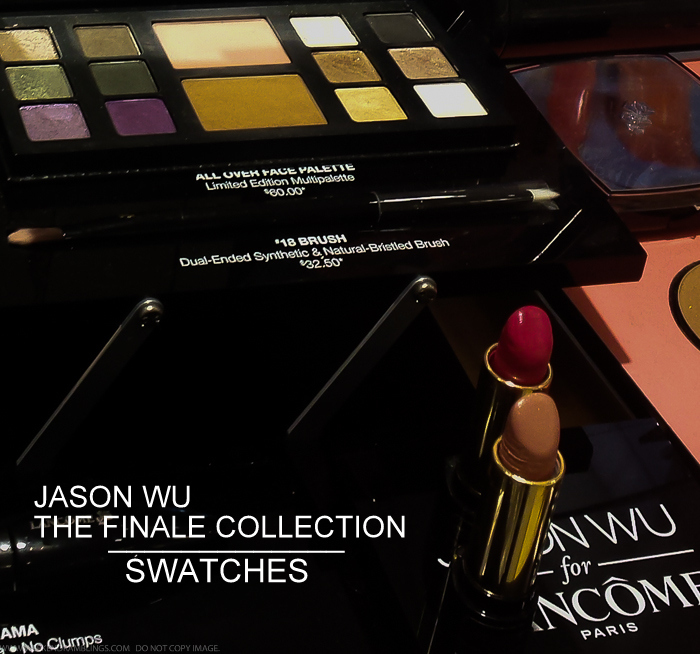 Inspired by Jason Wu's Fall 2015 Ready-To-Wear Show during New York Fashion week, Jason Wu’s last collection for Lancôme, features two limited-edition L'Absolu Rouge lipsticks and an all-over face palette with shades chosen by Wu himself. The All Over Face Palette is a multi-palette and includes 12 eye shadows, a long-lasting bronzing powder, and the Blush Subtil Delicate Oil-Free Powder Blush. 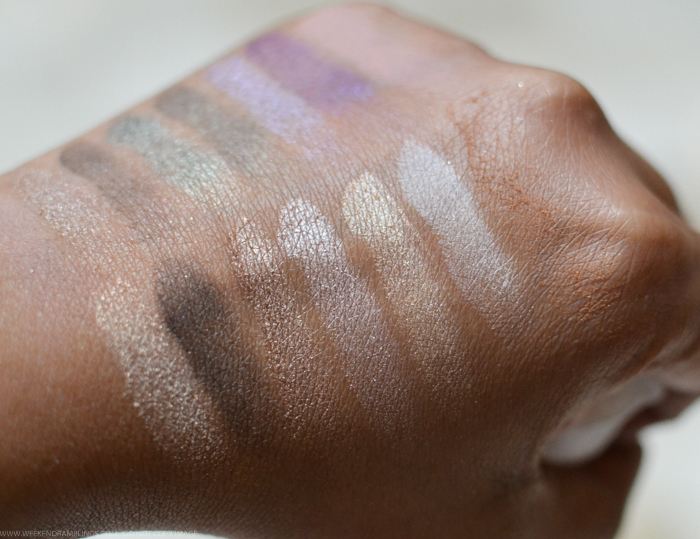 Here's a look at the swatches. 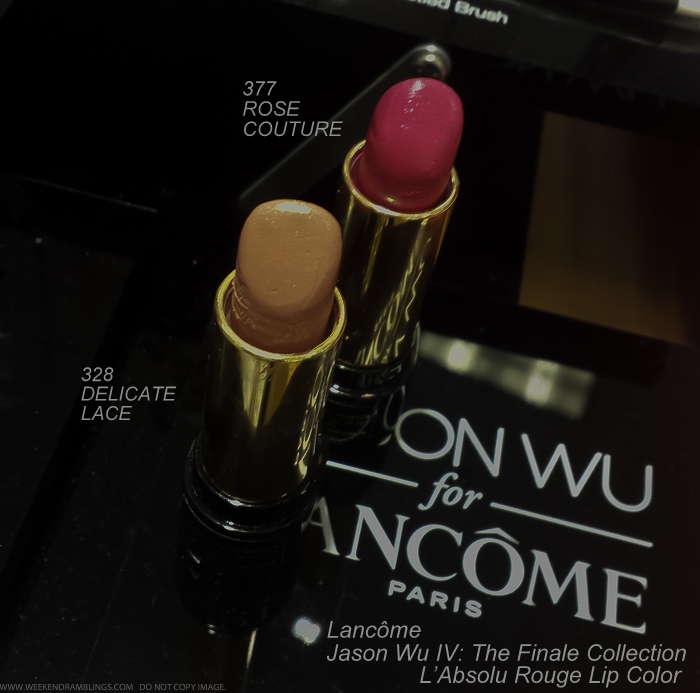 Lancome has come out with some interesting products this year - the cushion compact foundation and the Lancome Shine Lover lipsticks - so I was quite curious to see if the Jason Wu Collection would live up to those standards, and it sure does! 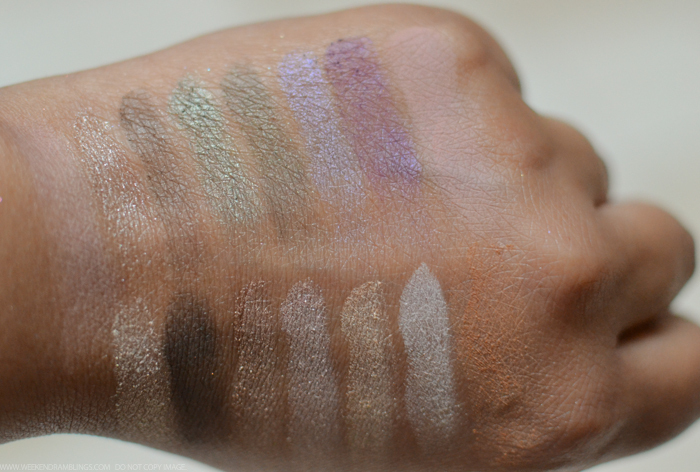 The All-Over Face Palette has some beautifully coordinated colors, a light and a dark shade of some rich green, purples, as well as neutral browns and beiges that can be used for a wide variety of looks. The blush is a soft peach and wouldn't really show up all that well on my skin tone, but paired with the warm bronzer, I think it would work well for a soft contoured look. 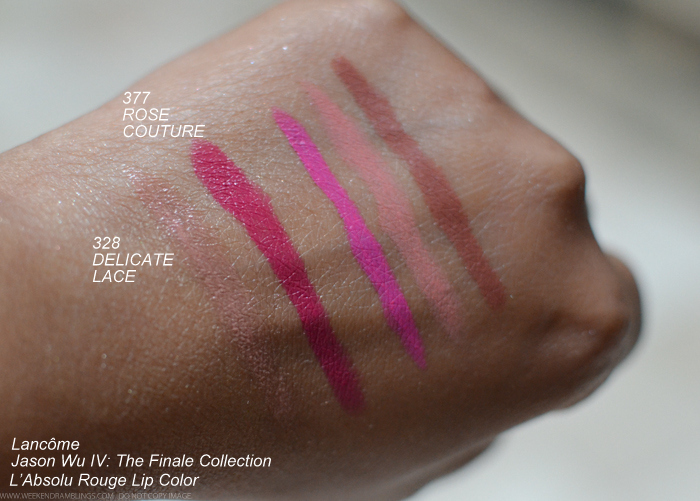 The lipsticks - Lancome L'Absolu Rouge Lip Color lipsticks feel creamy and moisturizing, and I loved both the shades. Overall, another winning collection from Lancome. Links provided in the post are for information only and are NOT affiliate/sponsored. 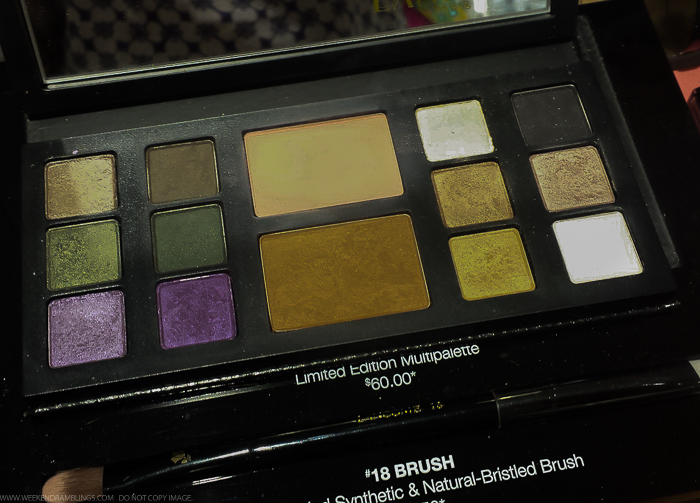 Beautiful palette and lipsticks. Rose couture is my fav.